Vehicle Storage is not only for family and personal use vehicles. It also deals with vehicles that are used for business, from a regular trailer to an 18 wheeler to a crane. Business owners can opt to store company cars, service trucks, and even construction vehicles in a vehicle storage facility when they are not in use. This frees up valuable space on your business property and protects your company's investments. The majority of Americans wish they had more storage in their homes. As a result, our garages have become packed with a variety of household items, including Christmas decorations, bowling trophies, and sports equipment. Sadly, this leaves our vehicles to sit in the driveway, the street, or even parked in the backyard. Yet a growing number of subdivisions and communities don't allow vehicles to be parked anywhere besides a garage or driveway. To prevent damage and protect your vehicle, a vehicle storage unit may be your best solution for storing seasonal watercrafts, ATVs, additional cars, or motorcycles. Vehicle storage encompasses other type of transportation and recreation such as RV and boats. Boat storage, RV storage, and car storage are all under the same umbrella of vehicle storage. 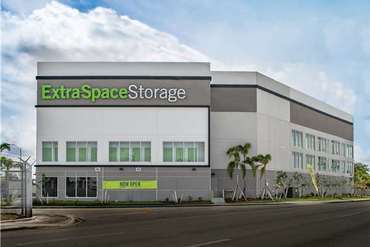 There are many self-storage facilities now offering space for rent for your car, boat or RV with different rates that normally depend on the size of the space and the amenities offered. There are also specialized places that cater only for cars, RVs, or boats. These places will not only help you store and protect your vehicle, but will also perform other tasks, such as cleaning and in some cases routine maintenance. Prices will vary greatly, depending on what you want to accomplish. It is important to remember to do your homework before you decide on a facility, sometimes the money you save is not worth the risk. One advice is to store your vehicle close to your residence or your place of business. Being nearby makes it easy to check in on your vehicle, notice the early signs of weather damage, and keep your vehicle in peak condition. This will take the worries away of knowing that you have your vehicle in the care of a third party. There are numerous occasions when storing your car temporarily or even long-term is a necessity. Whether you are moving overseas or are an avid car collector, there are a variety of self-storage facilities across the country that can allow you to safely store your car when it is not in use. 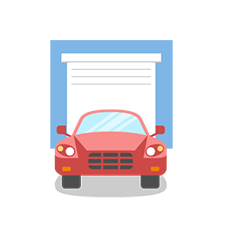 You want to find the right storage facility for your needs, and you also want to make sure your car is getting stored in the proper way. If you end up with a facility you're not comfortable with, or you don't store your car safely, you can end up with problems that could have otherwise been avoided. For example, some car storage facilities offer climate control, and they have information on how to store a car for a short period of time or for much longer. Things like checking the fluids and making sure the car is clean is important for storing any car, but longer storage needs can require more to make sure your car is safe and doesn't become damaged or suffer mechanical issues while it is in the facility. In hot climates like Miami, Houston or Los Angeles, an enclosed unit would be ideal to protect your vehicle from the sun, rain and wind. The tires can get flat spots, the battery can go dead, and the gasoline can break down, leading to difficulties restarting the engine. Those are only some of the concerns, as well. There are other issues to be concerned about with your vehicle, including making sure it's completely safe and protected where it's being stored. If there isn't any protection and the proper safety precautions aren't taken, you could be putting your beloved car at risk of damage or theft. Gated car storage that has controlled access is a great way to make sure your car isn't going to be harmed and will still be there when you come back to get it. If you're not sure what the facility offers to keep your car safe, be sure to ask plenty of questions before you sign a contract and leave your car behind. In many parts of the country, boat owners do not have the luxury of keeping their boats on the water year-round. They might want to leave their boats docked at the lake, or they might even have a private dock right off of their back yard, where they can have their boat when they aren't using it. Lakes in northern climates like Chicago or New York City can freeze solid, though, and leaving a boat docked when that happens isn't a good idea. Because of the risk of freezing and other problems, boating enthusiasts often need to find a place to store their boats during the offseason. For those who have small boats, jet skis, or other types of water vessels, a boat storage unit may be the best option for keeping your boat safe and free from harm when it is not in use. That can protect your boat and keep it from water damage and related problems during the winter months. In coastal cities like Los Angeles, Long Beach or Fort Lauderdale, there are numerous facilities that offer outdoor boat storage spaces, which is an economical way to store your boat. Like outdoor car storage spaces, these resemble parking spaces and will keep your boat out of harm's way. You can park your boat right in the storage facility on your trailer, so it will be ready to hook up to and pull out of storage once the weather warms up and boating season returns. If you own a medium sized boat or even a larger boat, however, you may need a specialized boat storage facility to house your boat in the offseason. These kinds of boats don't really fit into a standard storage facility like you would use for much smaller vessels and other types of personal watercraft. While it can cost more to store a much larger boat, you need to make sure you're putting your vessel into the right type of storage facility to protect it from the weather and reduce the risk that it will be damaged. Many facilities that specialize in larger boat storage offer a stack storage system. These stacks store your boat in large steel racks that are housed inside of large sheds. This will keep your boat safe from the harsh winter elements, as well as vandalism and theft. Boats can be locked up in the sheds, so they aren't at risk from anything that might be a problem for exposed boats that are stored in unenclosed facilities. When storing your boat, consider the size of the vessel but also pay close attention to the level of protection you're looking for. Families that own recreational vehicles need to find a safe place to store them during the year when they are not traveling. Most of these families take the RV out during the summertime, when their children are out of school and there is an opportunity to spend some great vacation time together. Other families consist of retirees (and potentially adult children) who can travel anytime they want to but who may still have obligations at home that they need or want to meet the majority of the time. The RV is a great way to travel to all sorts of different places, nearly any time of the year. It can be an excellent choice for families who have kids, retired couples, and anyone else who has the time and resources to get away from home for a while and just spend some time seeing the country. You can visit the Grand Canyon, near Las Vegas or the Rocky Mountain National Park near Denver without the extra expense of hotels or resorts. There are issues to think about with any RV, though. For example, these vehicles are often too big for home garages, but many communities and subdivisions prohibit parking and storing an RV in front of your house, in the backyard, or even in the driveway. When these types of problems occur, an RV storage unit may be an ideal choice. It will allow you to store your RV offsite, so it's not at your home, but it will give you a safe location where your RV will be protected. The majority of RV storage units are outdoor parking spaces and land lots. This is the most economical way to store your RV when you are not on the road. Some outdoor RV parking spaces even offer some shelter from the wind and rain with stand-alone canopies and three-sided wall canopies. Protecting your RV from the elements may be important to you, but RVs are made to be outdoors. With the exception of extreme weather conditions, having the RV stored outside should never be something you need to worry about. Still, an RV can be an expensive investment, and some people do feel much better putting their RV into a more secure storage facility where it won't be exposed to the weather and also won't as easily be at risk for vandalism or other problems. If you are looking to store your RV indoors during the offseason, you'll need to find a storage facility with units large enough to house your RV. While these are not as common as the outdoor storage options, they do exist across the United States. Be sure to write down the exact dimensions of your RV before calling around for an indoor RV storage unit. That way the person you talk to can quickly and efficiently tell you whether your RV will fit in an indoor storage unit at their facility. Only a few states in the country can boast 12 months of beautiful motorcycling weather. It's not very common, and isn't really something that most people can expect or look forward to. With the exception of people in those states, bikers in America must find a way to properly store their bikes during the snowy season. It isn't necessarily fun to think about, but it has to be done. Bikes need to be protected from the elements, and it's important to think about how you're going to do that before the first snowflakes start to fly. Letting motorcycles sit outdoors during snowstorms and freezing temperatures is very hard on the mechanical components. It's also not good for the metal, rubber, and other products that make up the bike. Sport bikes that have a lot of plastic on them can be at high risk in frigid temperatures, because that plastic is highly prone to cracking in cold weather. The cold makes the plastic brittle, and that can do a lot of damage to the bike if it's not properly protected from the kind of cold weather that is commonly seen in northern states cities like Minneapolis or Boston in the winter months. In addition, motorcycles are easy targets for thieves and vandals. Because they are much smaller and lighter weight than a car, people can more easily steal them. It's even possible for a few people, working together, to pick up a motorcycle and put it in the back of a pickup truck or other vehicle, even if they don't have a key for it. Motorcyclists are generally always concerned about whether their bike will be stolen if it's not properly secured, and when the bike is going to sit for a while and the weather is keeping them from riding, they need to make sure they protect their bike from harm and risk as much as possible. Even motorcyclists that live in an apartment complex or in a home without a garage will need an option for storing their bike safely when they won't be riding it for a while. A motorcycle storage unit can be an economical way to protect your bike and keep it ready to ride. A motorcycle can fit inside any traditional outdoor storage unit measuring 10 feet deep or more. This is an ideal solution for motorcyclists because it allows them to keep their motorcycle safe from the harsh elements, yet offers convenient drive-up access. Motorcyclists can even choose to work on their bikes during the offseason - and if the weather suddenly turns nice, they can take their bikes out for a spin without too much trouble. Trailers are incredibly useful for hauling a multitude of items, including furniture, other vehicles, boats, and even construction equipment. They are great options to move things from one place to another, and can provide a lot of help when you're moving to another house or you need to take large items to donate or sell. Businesses and private owners alike own trailers, and they all need a safe place to store them. Trailer storage units are a great way to protect your trailer from damage, vandalism, and theft when it is not in use. Most storage facilities offer outdoor parking spaces that are ideal for storing trailers when they are not being used. When you're ready to use your trailer, simply drive up, hitch it up, and go. If you need to store multiple items, you can even rent an enclosed outdoor storage unit for your trailer and store your trailer with items already loaded. Those kinds of enclosed spaces aren't the best choice for empty trailers, simply because they really aren't necessary, but storing trailers and items together in an enclosed space is great for safety and protection. Before you store your trailer, make sure you've looked it all over carefully and done any needed maintenance on it. Then store it in a way that makes retrieval easiest for you, but that also protects the trailer and any contents you choose to store in it. That’s a great way to ensure that you’ve put your trailer in the best possible place to keep it safe, and that it will be there, unharmed, when you need it again. With the right facility, you’ll have very little risk to worry about, and your trailer will be right where you left it. You don’t need to take up your garage or yard space trying to store a trailer, and you don’t have to worry about what your HOA might say. Just bring your trailer to a storage facility and let them keep it safe for you. Whether you use it frequently or you don’t need your trailer very often, having it easily available and ready to go when you do want to use it can make anything you need your trailer for a lot easier to handle. An ATV (All Terrain Vehicle) or small watercraft (like a jet ski) is small enough to fit in any drive-up unit that’s 5x10 or bigger. That can make storing them pretty easy, because they don’t need a great bit space. With a smaller space the cost is also less, or you can rent a space that’s a bit bigger and store some extra things in it along with your ATV or watercraft. It’s your storage space, so it’s entirely up to you to make the best of it. Because these are smaller vehicles that can be more easily stolen or vandalized, it’s not recommended that they are stored in an uncovered parking space. Some people choose to do that, but hooking up to them and towing them away, or otherwise finding a way to remove them from the space, is all too easy. Even in a very secure facility, the chance of theft or vandalism exists. That chance may be quite a bit lower, but it could happen and you don’t want to take the risk with your watercraft or ATV. Storing these small vehicles at home isn’t always an option, either. A lot of people don’t have the extra space in their garage, and may not have a storage shed or other place they can put an ATV or a watercraft. If you live in a neighborhood that’s regulated by an HOA, you probably also have significant restrictions about what you can store at your home that’s visible from the street or from other residents’ homes. Because of that, you need an offsite place where you can keep your ATV or watercraft, and a storage unit can be just the right choice to meet your needs. It’s safe and protected, and your vehicle will be out of the elements but still easy to get to when you want to use it.